The lotus® PRO High Capacity cleaning system turns ordinary tap water into stabilized aqueous ozone, nature’s most powerful cleaner. 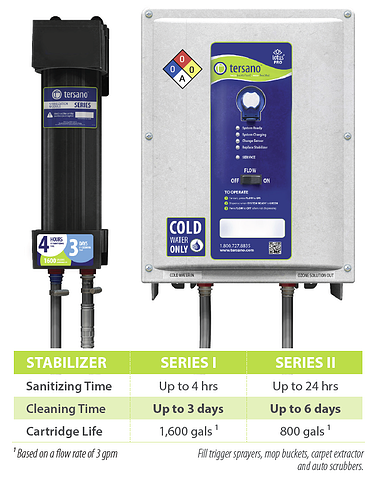 The Stabilized Aqueous Ozone (SAO) is a highly effective cleaning agent that breaks down dirt, grease and other contaminants, safely replacing traditional chemical cleaners, deodorizers and sanitizers. 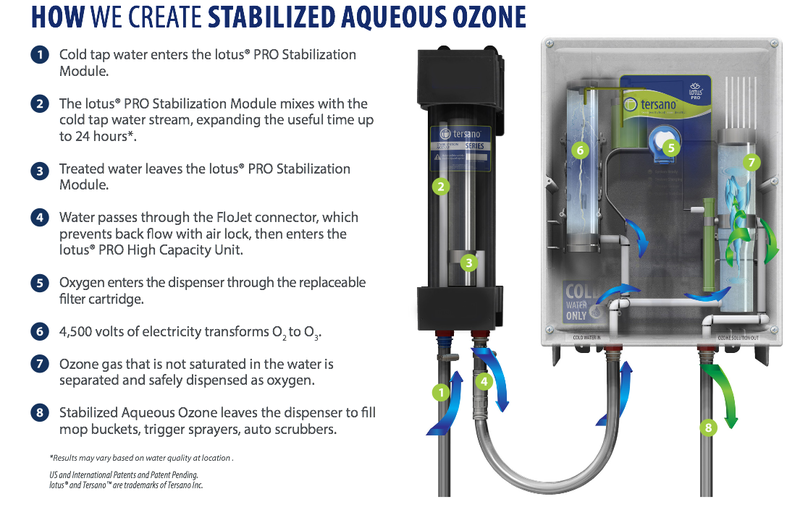 Universities, factories, hospitals, office buildings, hotels and retail stores all over North America and Europe have put us into their janitor closets and cleaning stations to clean and sanitize with Stabilized Aqueous Ozone instead of cleaning chemicals. It works hard as a natural all-purpose cleaning and sanitizing agent for hours, after which point it turns back into water and oxygen.